I loved Alyssa’s trilogy The Fine Art of Deception, and this book is another paranormal read but very different to the trilogy. So, Gemma loves her parents, but has had some strange childhood experiences that are suggested through the book, seem to have given her kind of PTSD/OCD issues. Its clear she struggled with things of the supernatural world, but equally clear she shares her mum’s talent for solving issues of that sort. Sadly her mum has died, and now her dad needs her help. She really doesn’t want to get involved, but loves her dad and knows if he’s asking for her help, knowing her problems with the supernatural he really does need it. She agrees to meet him and do what she can for the land, but isn’t intending to step into the house. She thinks using her gift by clearing the land of spirits will help. Tragedy isn’t finished with her though, and her dad is involved in an accident that leaves her to take over the restoration, against her wishes but she owes him much, and can’t see him lose everything. From there on it a race to finish the first stage of the renovation before the court deadline, or lose the house to those who want it demolished and new homes put up. Its a beautiful old building and when she meets Henry she can see its special to him. 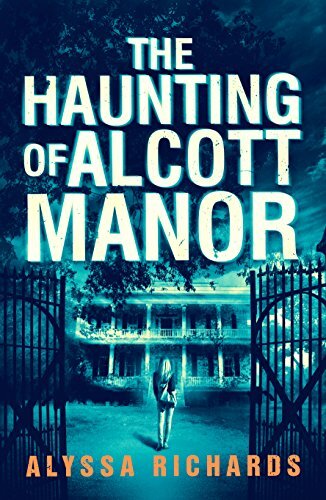 He’s on a mission though, knowing that the past owner Benjamin Alcott was convicted of killing his wife, he wants to free him from haunting the property, as Benjamin is destroying much of it in his search for something that would prove his assertion he was innocent. Its a great read, I loved hearing about the house, sharing the memories that played out and wondering if Benjamin really was innocent as Henry thinks, and if so what really happened that night. Was he really responsible for the deaths of people involved with the house since then? Henry is really worried that past people have become trapped in the house memories, and cautions Gemma to take absolute care not to interact with any scenes she sees, however lifelike they feel. That sounded weird at first, but its soon clear the house really does have a life of its own. It’s a gently paced novel, not a race through to the finish, with events playing out slowly, scenes from past and present there, and clues that could mean very different things happened. The evidence for the full story is still missing and seems to be the key to Benjamin’s destructive actions, and there are some fun twists to the story in the search. I’m still a romance reader more than a mystery one but this was a nice bridge between the two, and an enjoyable read. Sometimes its good to step away from a favoured genre and dip into something different. Stars: four, an escapist read, full of secrets and suprises that caught me out completely!